Check out our star buy promotion now! 20-04-2019:Book an Appointment to view Parc Botannia Show Flat and get Direct Developer Price + Discounts. 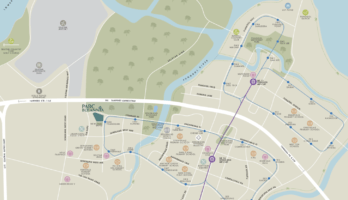 01-04-2019: The 2019 Draft Master Plan for Sengkang is out! 31-03-2019: Last 4 units of 5 bedrooms from $1,116 psf! View star buy now! 30-03-2019: 1+Study units fully sold! 25-02-2019: Final call! Last 4 units of 1+study from $713,000! View star buy now! 08-02-2019: Read our guide to Good Food at Jalan Kayu. An important purchase consideration for home owners in buying a new launch project is the experience of the real estate developer. The developers of Parc Botannia has a wealth of experience in the business. 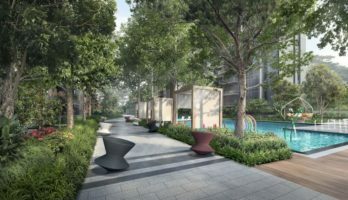 Parc Botannia is joint collaboration by two of Singapore’s top developers: Sing Holdings Limited and Wee Hur Holdings Ltd.
Wee Hur Holdings Ltd came into property development as a natural progression up the value chain from its property construction core business. Doing so, the firm believes in ensuring the best quality development from conception to finish is provided to its clients. Notable projects handled by Wee Hur Holdings includes Urban Residences, Parc Centros and the luxurious Villas @ Gilstead landed housings. Parc Botannia is the latest offering of the combined synergy by two developers’ determination to spare no effort to ensure the most meticulous and tightly reined process from project initial conception design, layout planning, finishes selection and construction to create the finest quality end-product that can win the hearts and minds of their purchasers. 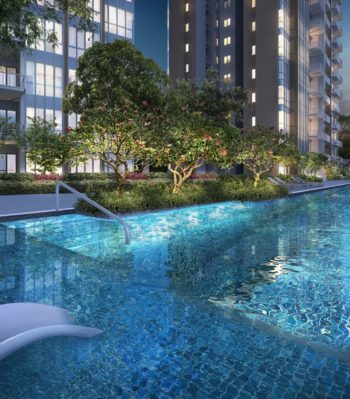 Parc Botannia is a new condo launch located in Sengkang new town. It shares many location benefits similar to neighbouring projects like High Park Residences and executive condominium, Rivercove Residences. Key developments here are the expansion of the Seletar Aerospace Park and the phased launch of Sengkang West Industrial Park to enhance job creation of PMET roles. The closest of 3 Sengkang malls to Parc Botannia is Seletar Mall. This relatively new mall is 5 mins stroll away and has 132 stores, a cinema and a midscale supermarket. Parc Botannia is well connected to neigbouring good schools by a reliable public transport network. Future residents of the Sengkang condo can rejoice that they will be well acquainted with the outdoors via the Round Island Route linking Seletar heritage areas with the Sengkang Riverside Park. Gourmets will equally rejoice that the popular Jalan Kayu eateries stretch will be enhanced and made more accessible from Parc Botannia. This Sengkang condo represents a ideal choice for home buyers looking for great value that comes with future growth potential, efficient accessibility, upgraded lifestyle and affordable pricing. Click here to find out more detailed amenities nearby Parc Botannia. Parc Botannia is a new launch condo that caters to the private living aspirations of home buyers. The Sengkang condo is located along Fervale Road, District 28, has a total of 735 units which consists of 1 bedroom to 5 bedroom units. Together with neighbouring project High Park Residence condo, a private residential enclave is formed. Parc Botannia is only a 5 minutes stroll to the Seletar Mall, and is under 3 minutes stroll to the Thanggam LRT. Jalan Kayu a local food haven is well within walking distance. The new launch condo has over 40 facilities. Parc Botannia is surrounded by many public amenities. There is a lot of potential growth for the future residents of the Parc Botannia because of its proximity to developing infrastructures such as Seletar Aerospace Park, Seletar Regional Center, Sengkang West Industrial Park, as well as Sengkang Community Hub. Parc Botannia units had sold well during initial launch. Resultant of an affordable price tag, sales are brisk. 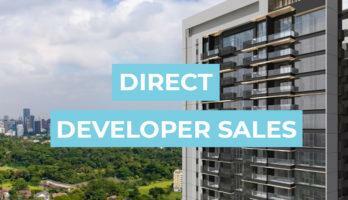 If you are a potential home buyer, do not hesitate to book an appointment now or contact +65 61007757 to get the Direct Developer Discount and get an exclusive tour of the showsuite by the Developer Sales Team. Parc Botannia is a new launch Singapore condominium situated along Fervale Road in District 28. The condo espouses a tranquil blend private lifestyle amidst a nature theme park. The condo sprawls 735 units consisting of 1 bedroom apartments to 5 bedroom units. This Sengkang condo is strategically located well within walking distance to the Thanggam LRT, and the Seletar Mall and Jalan Kayu. As many as 48 recreational facilities are available within the project while several public amenities are available in the Parc Botannia vicinity. There is a great opportunity for future growth as tremendous efforts and capital are being directed to develop Sengkang into a regional hub. Parc Botannia is a hot selling project in 2018. Potential Parc Botannia owners should contact the developer sales team to plan a showflat visit. More in-depth information are available for download here – Parc Botannia Floor Plan & Parc Botannia E-Brochure.